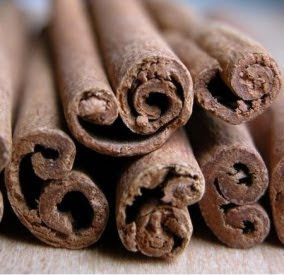 To make an effective French folk remedy for colds and flus, combine 2 cups of water, a small stick of cinnamon and a few cloves together is a saucepan and bring to a slow boil for about 3 minutes. Remove and add 2 tsp. lemon juice, 1-1/2 tbsp. dark honey or blackstrap molasses, and 2 tbsp. qood quality whiskey. Stir well, cover, and let steep for about 20 minutes or so. Strain. Drink 1/2 cup at a time every 3-4 hours. It's pleasant tasting and really breaks up the fever and congestion accompanying either the common cold or influenza. I doubled the recipe to make about a quart. He's right, it's a nice-tasting brew, the touch of alcohol is just right. I've been fighting some kind of nasty bug for a while now. A few days ago I stopped all over-the-counter meds for allergies and sinus. I had been just suppressing the symptoms and it wasn't helping me either fight the bug or allowing my body to do whatever it needs to do to get rid of it altogether. So now I'm just doing some herbal extracts and suffering all the symptoms--loads of mucus, coughing, some vomiting, diarrhea, feeling achy and tired. Is it a flu? I dunno and don't much care. It's low-level stuff, nothing that'll kill me. Yet, anyway.